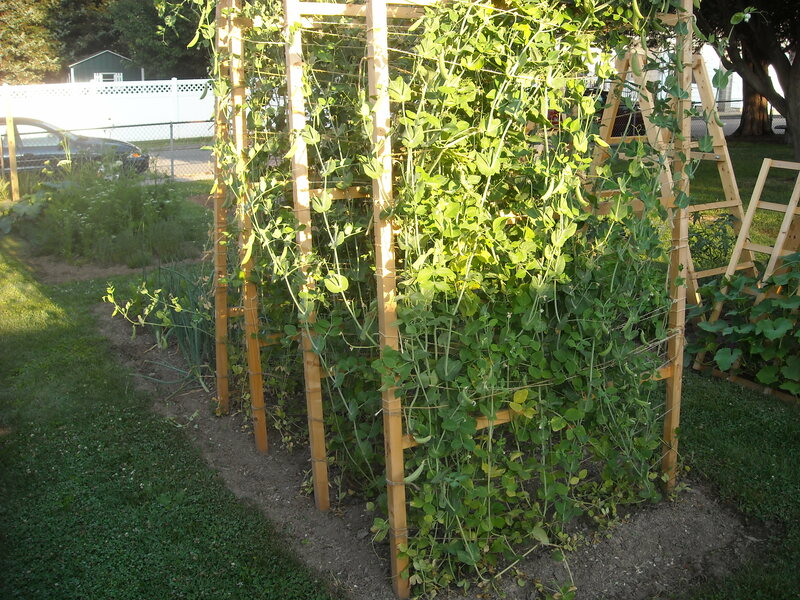 For starters I only grow one open pollinated variety of sugar snap pea in my garden. This helps eliminate the possibility of cross pollination. 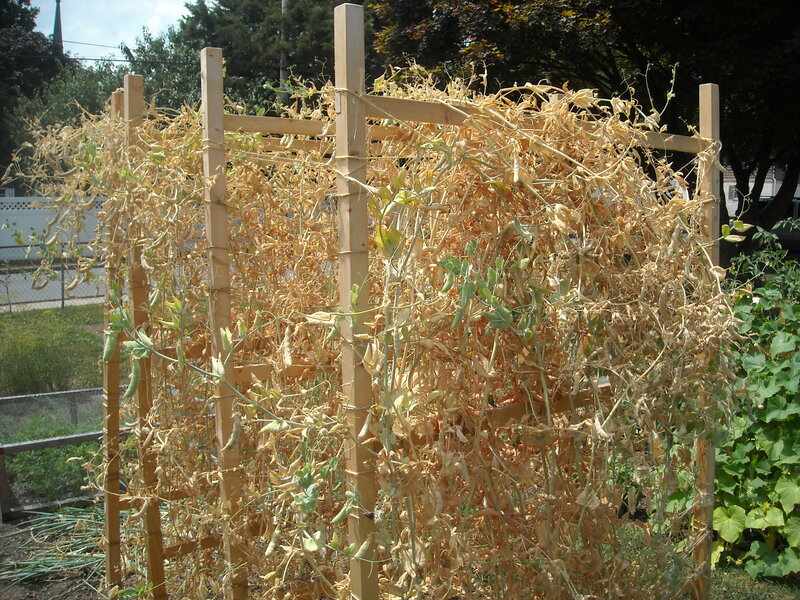 According to one of my resources, different pea varieties should be separated by a minimum of 50 ft. to reduce the likelihood of cross pollination. No one in my neighborhood grows peas, so I feel my peas are fairly safe from cross pollination. Here are the simple steps that I take to save my sugar snap pea seeds. - Plant the seeds in the early spring (mid-March for zone 6b). - Allow the plants to mature. - Once the sugar snap pea pods are mature, I harvest them to eat. 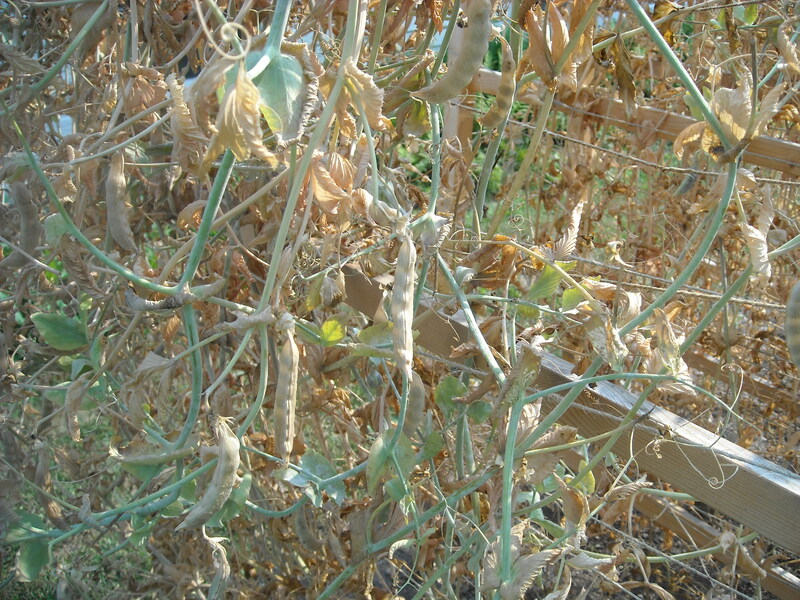 - After several weeks of harvesting, the plants begin to look like they are drying back at the very bottoms. At this point I begin to leave pods on the plants to mature for seeds. - Within a few weeks the plants are usually completely dried back. 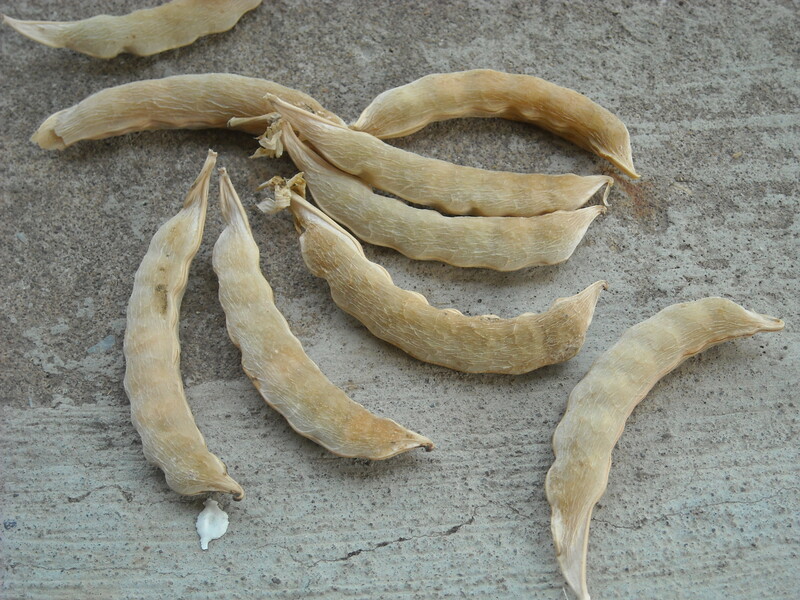 - Once the plants and the pods are completely dried, I begin to harvest the large pods from the best plants; usually the tallest plants with nicely formed pods. - Then I shell the pods to remove the dried seeds. - I then let the seeds sit in an open container to make sure they are completely dried. 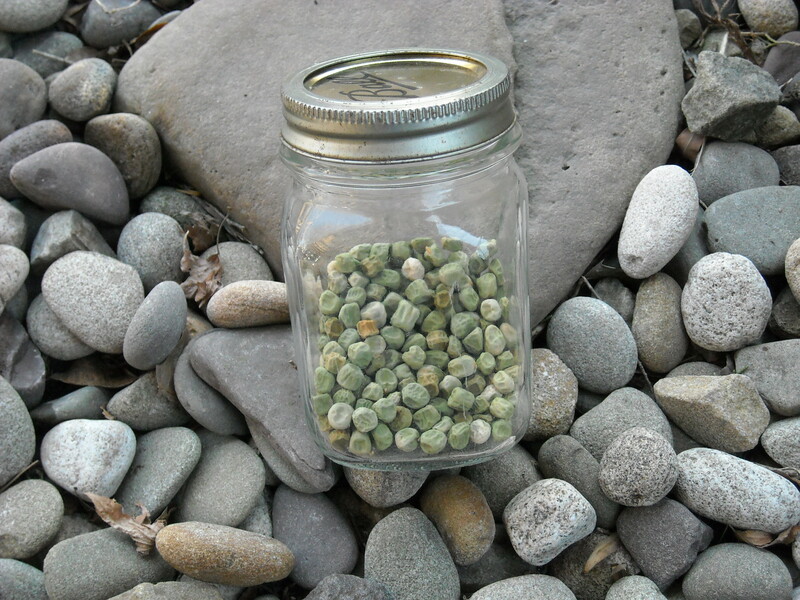 - Once I am sure the seeds are dried I place them in an air-tight container that I keep in an old metal tin. Saving seeds is a lot of fun. This year I am trying to save seeds from several other vegetables. What's everyone else saving? Hi, Matthew. This is fantastic—and what lovely photos! We're hoping to compile all of the great info folks have shared on seed saving, but in the meantime, I dropped a link to this page into Chris's post on tomato seed saving. Thanks so much for sharing your know-how with the HOMEGROWN crew. Thank you Jennifer, I am always glad to share my experiences.